Among the different colors of cosmetic clay, blue clay has a very rich mineral composition. They call the blue clay differently: soapstone, Cambrian clay, kil. Very often blue clay is used in the composition of cosmetic and medical masks. It is particularly useful for curing acne. 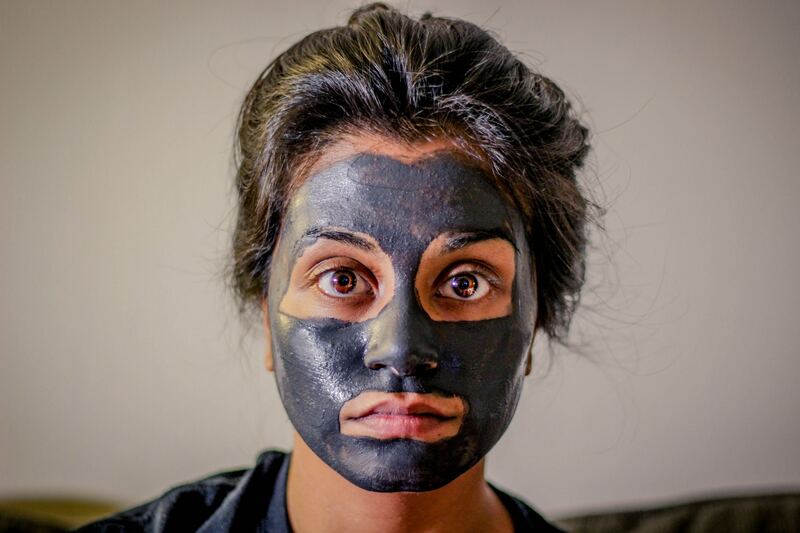 If you need to eliminate small pimples as soon as possible, stop the spread of acne on the face, reduce oily shine or treat eczema and dermatitis – you can safely turn to DIY blue clay masks for help: they will not fail you. Today we have prepared 10 DIY blue clay masks recipes, which are included in our ultimate list of 80 DIY clay masks with 8 clay types. Check out the main article to find out about other types of clay and masks with them. Titanium is able to create a shielding effect that provides skin protection from harmful external influences. Blue clay powder (50 g) mixed in equal proportions with rice flour, diluted with warm water to the desired consistency. Apply the mask to the entire face, avoiding area around eyes for 10-15 minutes. In order to avoid drying the mask out, spray some floral of thermal water over the face. Wash off the mask with lukewarm water and apply your favorite cream after 20 minutes. This mask is a little controversial as it contains alcohol which may over dry the skin, but if you need to reduce the oily shine, you can apply it for just a short amount of time. Dissolve blue clay powder (50 g) with rubbing alcohol (25 ml), mix thoroughly, add lemon juice (no more than 1 teaspoon). Dilute to the desired consistency with warm water. Blue clay powder (50 g) mixed with oatmeal ground to the state of flour (the same amount), mixed with honey and lemon juice (10 ml each). Mix 50g of blue clay powder with sea salt (10 g), add egg white, dilute with warm milk to the desired consistency. Egg yolk, olive oil (10 ml), honey (1 tsp), lemon juice (1 tsp) and blue clay (50 g) mixed together. This mask nourishes, cleanses, whitens and tightens the skin. Blue clay powder (50 g) diluted with water (20 ml), apple juice (20 ml) and lemon juice (10 ml). Normal skin periodically requires deep cleansing, as well as oily. Take 3 tbsp. of blue clay and 2 tbsp. of decoction of mint. Stir, add 3-4 drops of rosemary essential oil. Apply to the skin with massage movements and leave the mask for 5 minutes. Wash it off with plenty of lukewarm water. Blue clay powder (50 g) is mixed with talc, glycerin, alcohol (5 g each). Dilute to the desired consistency. Powder of blue clay (50 g) is mixed with skimmed sour cream. Blue clay powder (50 g) mixed with honey, lemon pulp (10 g each) and diluted with warm water.